Zeldox (ziprasidone) is indicated for: (i) the treatment of schizophrenia, related psychoses, prevention of relapse and for maintenance of clinical improvement during continuation therapy; and (ii) as monotherapy for the short term treatment of acute manic or mixed episodes associated with bipolar I disorder. No.2 blue cap/white body capsule marked "Pfizer" and "ZDX 80"
No.3 white cap/white body capsule marked "Pfizer" and "ZDX 60"
No.4 blue cap/white body capsule marked "Pfizer" and "ZDX 20"
No.4 blue cap/blue body capsule marked "Pfizer" and "ZDX 40"
ZELDOX (ziprasidone) is indicated for the treatment of schizophrenia, related psychoses, prevention of relapse and for maintenance of clinical improvement during continuation therapy; as monotherapy for the short term treatment of acute manic or mixed episodes associated with bipolar I disorder. No. 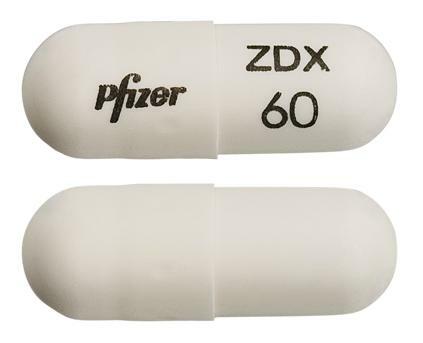 3 white cap/white body capsule marked "pfizer" & "zdx 60". No. 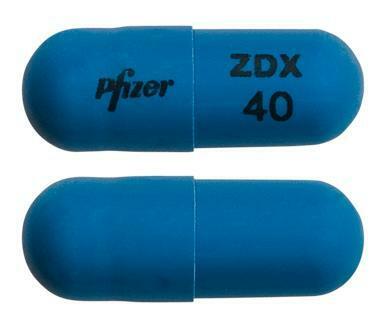 4 blue cap/blue body capsule marked "pfizer" & "zdx 40". No. 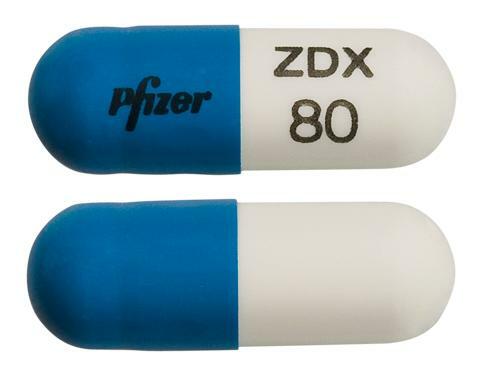 2 blue cap/white body capsule marked "pfizer" & "zdx 80".